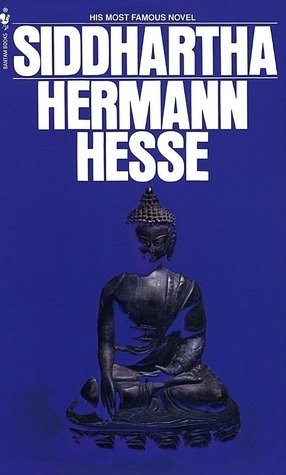 This book can be mistaken for the story of Gautam Buddha, but it is not. It is the story of Siddhartha, a young man who leaves his family in order to search for meaning in his life with his friend Govinda. While Govinda follows Gautam Buddha, Siddhartha embarks on his own quest. This self-discovery tale stands for the fact that an individual does not attain enlightenment through intellectual methods or by immersing oneself in the pleasures of the world. An individual attains self-discovery by the totality of his/her experiences. Siddhartha leaves his home, ends up going after materialistic & carnal pleasures, leaves it again only to realize the true meaning of life on the banks of a river. This is a decent book & at less than 200 pages it is able to convey the point very nicely. It is well-written & is able to move the readers. However, the book does not dwell deep into Siddhartha’s journey so it should be read for its message & what it stands for. I read Dongri to Dubai earlier & thought will follow it up with this. Somehow I did not find this book interesting since a lot of it is known now. Even the writing style is not very captivating. This book traces the stories of Chhota Rajan, Arun Gawli and Ashwin Naik. However, I think movies have done better justice to the Mumbai underworld with the likes of Satya, Company and some of Amitabh Bacchan’s old films. I had watched the movie in which DiCaprio plays the role of Jay Gatsby and this book is hailed as a masterpiece for depicting America during the Jazz Age. 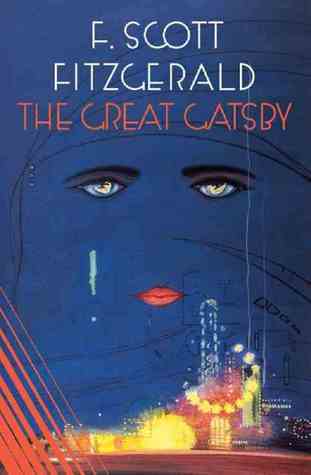 While the book is well-written and Fitzgerald is able to paint the lavishness with his words, it fails to captivate. The book is an American classic, but only for Americans. A person (like me) who is not aware about the Jazz Age & the 20s period in the US may feel disconnected from the novel and its popularity. The underlying theme of the book is the decline of the American dream & the moral bankruptcy prevalent in the US at that time. The period of excess consumption & greed & the divide between the new & old money is what this book has portrayed throughout. However, the period depicted in the book has become a norm even in India. The greed & material excess is what its all about everywhere & is also being replaced with the next generation. Nevertheless, this book is a reflection of its time & those keen on picking up classics will have this on their list. Just ensure you read a little about the American society during that time. The book is a nice look into the question all liberal Israelis face about the question of Palestine and how to live with them on a daily basis and their conflict with the more orthodox Israelis. 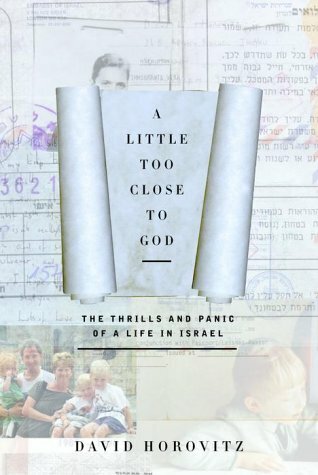 The book is okay and I picked it up only to introduce myself to Israel. However, the question of the friction between the orthodox and the liberals will always remain and the conflict has become even more profound across the world as migration, wars and terrorism create a disruptive impact across the globe. 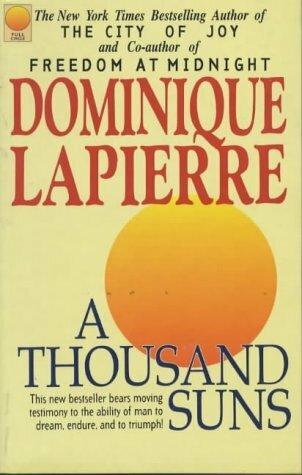 Dominique Lapierre, a journalist who has interviewed several big personalities from Mother Teresa to Lord Mountbatten. In this non-fiction book, Lapierre tells us stories of some of the extraordinary people he met during his time as a journalist and as a writer. The list varies from one of the most popular bull-fighter in Spain to a Nazi general who refused to invade Paris to Mother Teresa. The book is an interesting read and the list of characters is also interesting with one we will not hear about in general. I plan to include more books from this author in the coming months. I picked up this book reluctantly because I generally avoid the popular books in India, because their writing is bad. It is not an Amitav Ghosh or an Rohinton Mistry. But I picked this up because crime and mafia in India interest me. 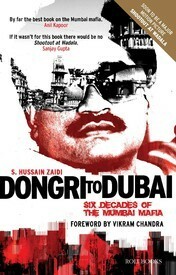 The story is about the history of the Mumbai Mafia, especially Dawood Ibrahim. I do not have much to say about the book except that it is a swift read and easy to follow. 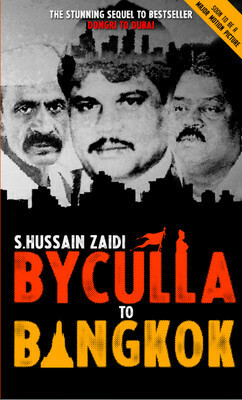 Hussain Zaidi, an investigative reporter himself is a credible source to know about the Mumbai Mafia and hence a better source than any other. Pick it up if crime and mafia interest you. I have watched the movie starring Daniel Craig and Rooney Mara with the same name and wanted to read the book for a while simply to read a book in the genre of Nordic Noir. Crime and suspense genres really do not excite me and I feel like I am in a rush to finish the book and reach the end. This book had the same effect on me and I do not intend to read more books in the Millenium series. Now, this book is about Michael Bloomkvist, who is a once-respected journalist but a bad call lands him in trouble and in debt. The patriarch of a wealthy business family wants him to investigate a murder in the family which happened years back. 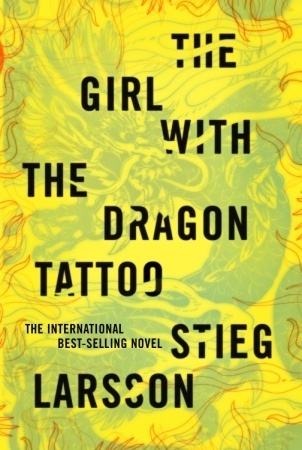 We follow Michael as he tries to unravel the mystery of the murder with the unlikely help of a private investigator Lisbeth Salander. Obviously I am not going to give away what happens but the book is okay really. I liked the movie. Maybe it is because this genre does not really excite me. Either way, it is a decent crime and suspense novel. I had saved a link few months back had and this book was there in its “Top 100 books to read”. 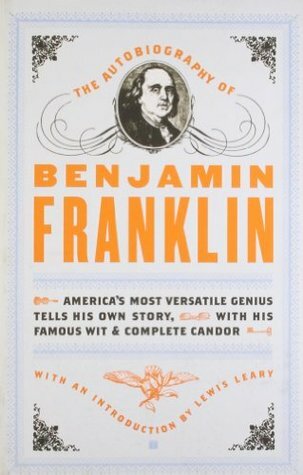 There were other books on the list too I have not read yet but the autobiography of a man who was one of America’s Founding Fathers, a scientist and an inventor, a writer and an editor and counted as a great philosopher seemed a good enough reason for me to pick it up. This thin book is only 160 pages but it will take some time to read. It appears dull and boring and does not dwell deep into the man Benjamin Franklin was. The fact that it is written in the English of the olden days does not add to its case either. I expected more out of it and I am quite surprised that it has become a literary classic. Maybe I missed out on something. Either way, I did not take away much from the book. This travelogue is the story of India’s monsoons. Alexander Frater is a journalist and a travel writer. In this book he follows India’s monsoon when it hits the coast of Kerala and goes up north to Goa, Mumbai, Delhi and finally to Cherrapunji. Of course, this book was written when monsoons could be predicted in the June- September period and before we screwed up the weather patterns with our constant polluting. The book is a joyous exploration and celebration of the monsoon in India and how the rich and poor deal with it. While wealthy Arabs come to spend a week in Mumbai to experience the monsoon, the taxi drivers lament the damage on their vehicles and the roads. This is a delightful book in bits and pieces. I have been trying to get hold of more travelogues since many of my friends have told me that my travel blogs are a little long and boring. 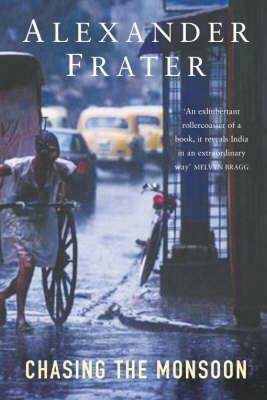 This book is an interesting read as we explore stories and places via the monsoon. Historical and meteorological data snippets also show a different aspect to the story.